In computerized or numerical methods, a numerical integration can be performed by a number of algorithms that calculate the approximate value of definite integrals. Numerical evaluation of the integral is called quadrature. The term ‘numerical quadrature’ is more or less a synonym for numerical integration, especially if applied to one-dimensional integrals. We’re going to focus this time on the calculation of definite integrals using the Matlab already built-in functions. There’s a number of reasons for carrying out numerical integration. 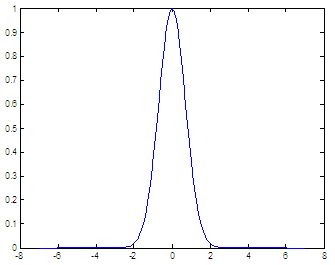 The integrand f(x) may be known only at certain points, such as obtained by sampling. Some digital systems and other computer applications may need integral calculus for this reason. A formula for the integrand could be known, but it may be difficult or impossible to find an analytical integral. It may be possible to find an antiderivative, but it may be easier to compute a numerical approximation. That may be the case if the exact integral is given as an infinite series, or if its evaluation requires a special function which is not available. quad - Uses adaptive Simpson quadrature. Basic form: q = quad(FUN, A, B), which tries to approximate the integral of scalar-valued function FUN from A to B to within an error of 1 x 10-6 using recursive adaptive Simpson quadrature. The function Y = f(X) should accept a vector argument X and return a vector result Y, the integrand evaluated at each element of X.
quadl – Uses adaptive Lobatto quadrature. Basic form: q = quadl(FUN, A, B), which tries to approximate the integral using high order recursive adaptive quadrature. The Gaussian integral (aka Euler-Poisson integral or Poisson integral) is the integral of the Gaussian function over the entire real numbers. Since the result is exact for a known interval, let’s use this function as a guinea pig. First, let’s plot it to see what we’re doing. We cannot go from -infinity to infinity, but we can use a more reasonable interval. Now, we see that if we integrate in the interval [-8, 8] we can get a very good answer. We don’t have to go beyond that. Obviously, the second answer is better than the first one (according to sqrt(pi)), due to the longer interval, but even the first answer is correct to 5 digits. You can type help quad or help quadl on your Matlab command window to see a full description of the usage and examples of the functions.